Best friend, indeed! You will be awed by the extraordinary skills and bravery of some of the world’s most amazing canines. In the new IMAX 3D film, Superpower Dogs, journey around the globe to follow remarkable dogs that save lives and share a powerful bond with their human partners. 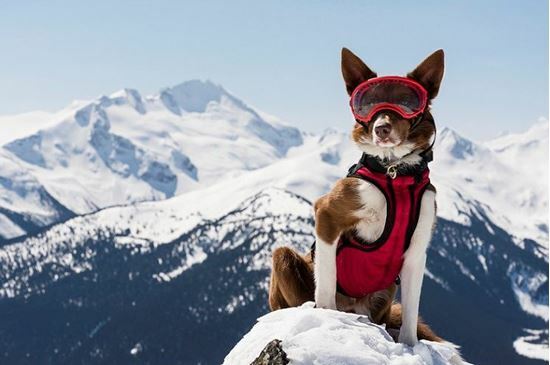 The stars include Henry, an avalanche rescue expert; Ricochet, a Californian surf legend helping people with special needs; and the bloodhound brothers, Tipper and Tony, leading the fight to save endangered species in Africa. During this special screening, director Daniel Ferguson will share behind-the-scenes stories about making the film and watching these amazing animals in action. Photo Credit Danny Wilcox of VII for Cosmic Picture.